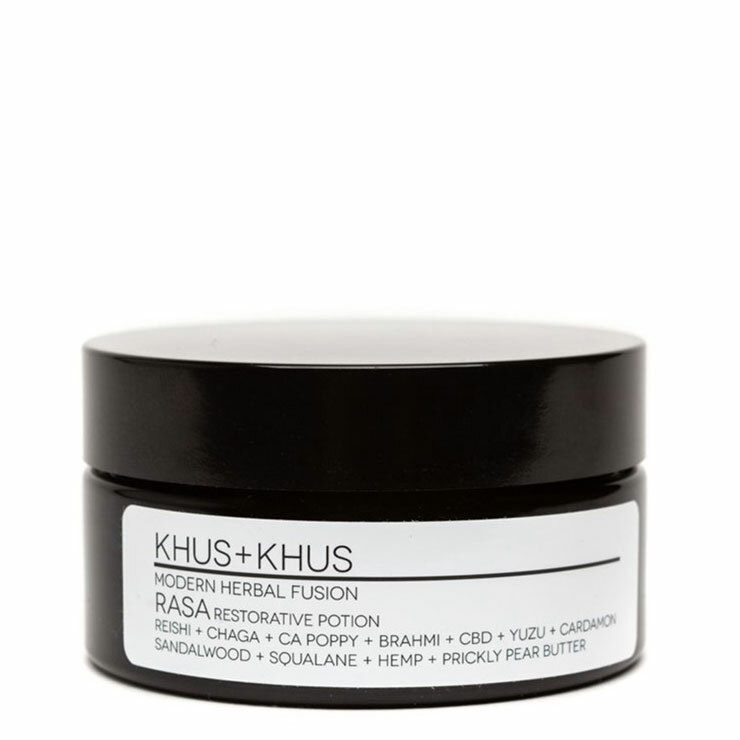 Bestow feelings of restoration and soothing to mind and body with KHUS KHUS Rasa Restorative Potion Body Balm. Hemp, prickly pear, and brahmi oils moisturize with a softening and strengthening feel, while arnica and sandalwood lend a calming sensation. 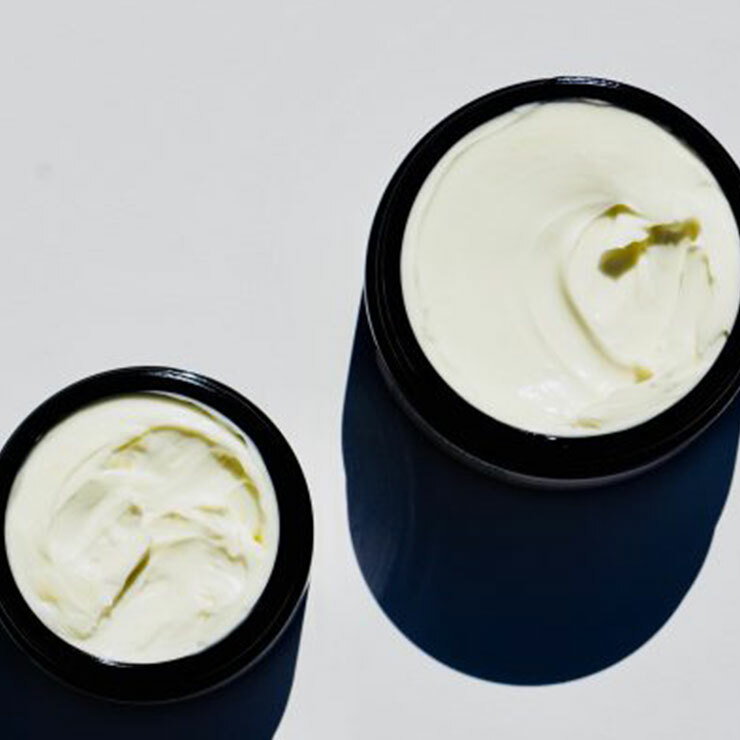 California poppy and CBD isolate offer a balancing and relaxing feeling to irritated or inflamed skin. Reishi and chaga mushrooms are included, ideal for dry, sensitive, and stressed skin types. Red mandarin promotes a feeling of uplifted mood and wellbeing. 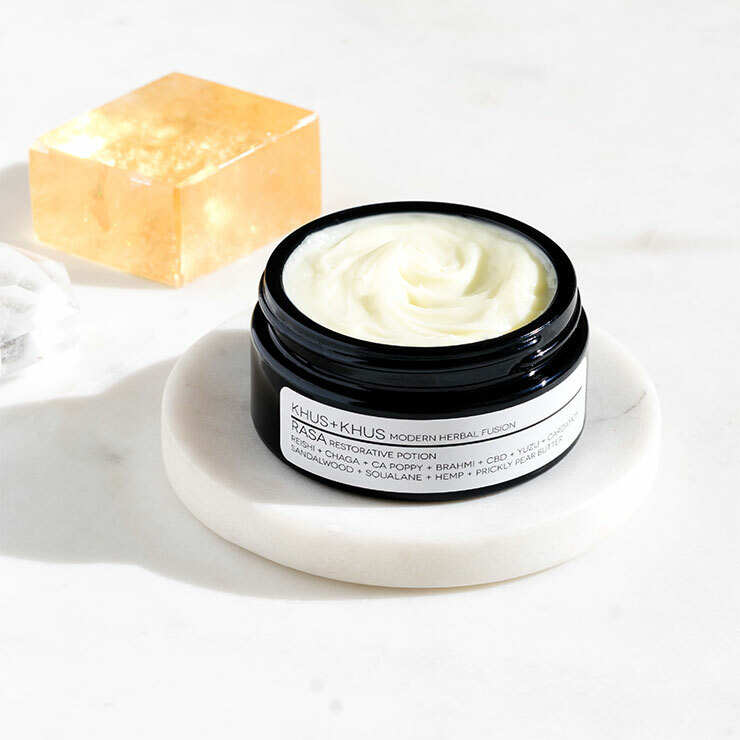 Apply to clean skin and massage in long, sweeping strokes to lend a calming sensation to body and mind. Reapply as desired. May also be used on face and around the eyes for a feeling of intense hydration and soothing. 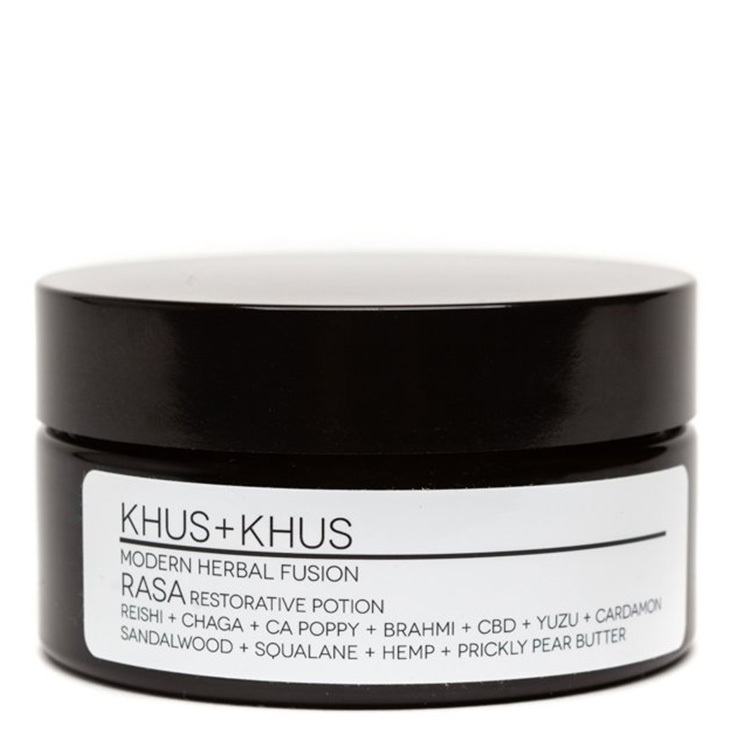 Cannabis sativa(hemp seed)butter, opuntia ficus-indica(prickly pear)butter, arnica montana(arnica)butter,squalane olea europaea derive,ganoderma lucidum(reishi),inonotus obliquus(chaga),eschscholzia californica(california poppy),bacopa monnieri(brahmi),elettaria cardamomum(cardamom CO2),cannabis sativa(CBD),citrus junos(yuzu distilled),santalum austrocaledonicum(new caledonia sandalwood),citrus reticulata (red mandarin).